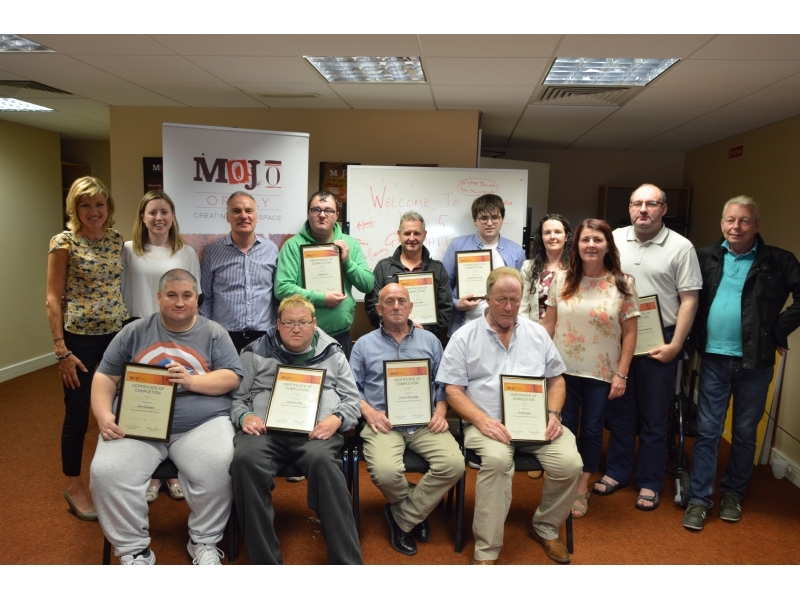 MOJO is an evidence based mental health and wellbeing programme for men who are motivated to make changes in their lives. It is an interagency programme funded by the National Office for Suicide Prevention (NOSP), and supported by local agencies to provide a coordinated response to men who are in ‘distress’ or those who are affected by unemployment. 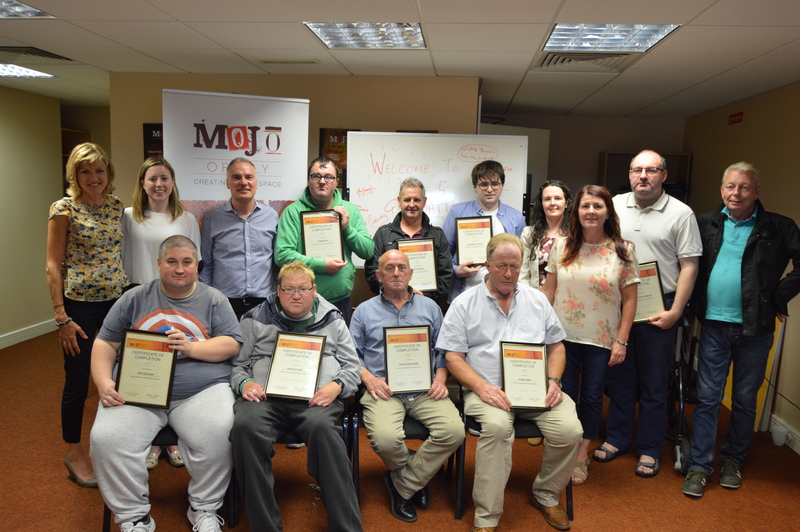 MOJO is delivered in Offaly by OLDC and is governed by an Interagency Advisory Group (IAG). The IAG is central to MOJO programme planning, quality assurance and delivery . The IAG steers the direction and future development of the project in their respective areas. The IAG is made up of a host of local organisations and services including: The Mental Health Services, Primary Care, Adult Education Services and OLDC. The MOJO programme is 12 weeks in duration. The programme is open to men 18 years or older and runs over two mornings a week. Morning one is three hours in duration while morning two is of four hours duration. MOJO sessions combine short inputs from facilitators on a particular topic with small group discussions, group exercises and questions and answers. 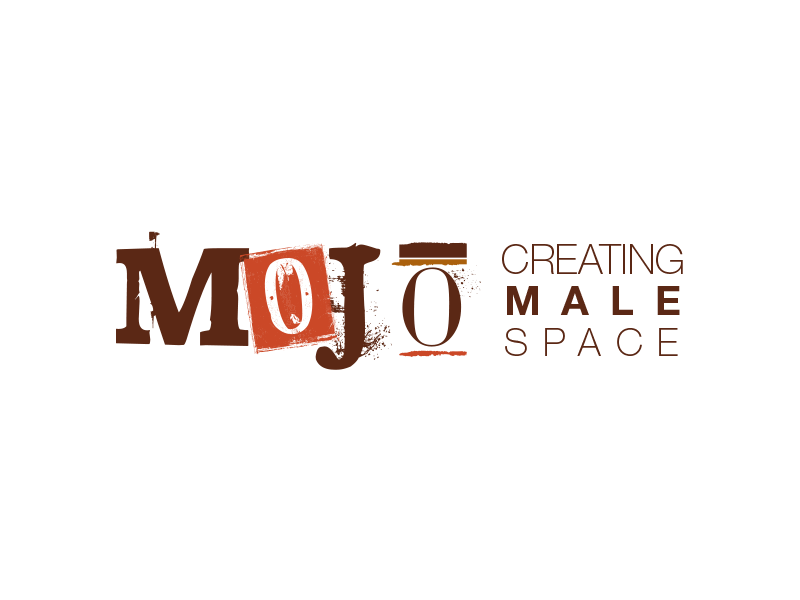 On the programme the men create their own individualised “MOJO Plan” which is made up of the things they have learned on the programme and things that give them a sense of wellbeing. As the men change and develop so should their “MOJO plan”. Men who complete the programme receive a certificate.